This week we invited Dann Diez from Let's Do It Philippines to show our ladies the light through solared-power photovoltaic lamps. We extend a heartfelt thanks to all of you who donated to enable this activity and the advantages it brings to our community. During our soap-making workshop last year our crafters expressed how something as simple as extra light can improve their quality of life. From simple tasks, such as making dinner in the evenings, rolling your paper beads, and assembling jewelry to enabling their kids to do school homework without straining their eyes or providing light during the far too frequent power outages here. As the sun goes down around 5:30 to 6:00 pm daily, an entire evening can be spent in the dark. 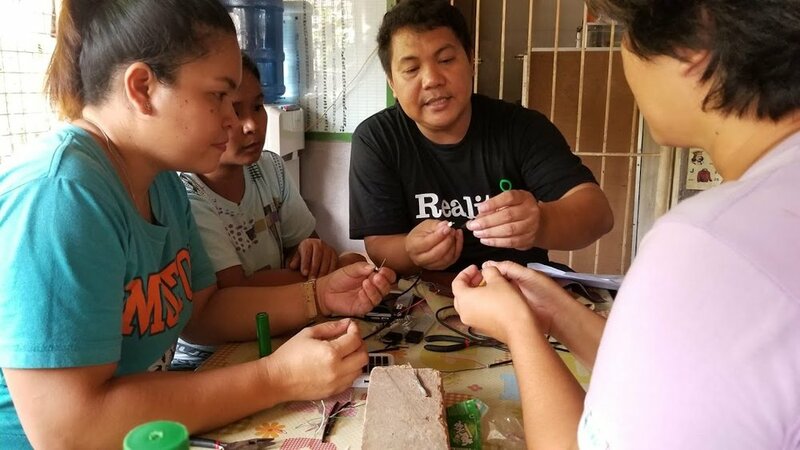 With the instruction and guidance from Let's Do It Philippines' Dann Diez, the women were able to assemble the photovoltaic battery circuit connecting the energy-efficient LED light to the Solar panel. There's nothing quite like that "aha" moment especially when followed by a bright light signifying a bright idea, finally realized! This workshop usually takes more than a day to grasp all the electrical concepts needed to make a circuit, then assemble the incredibly tiny pieces together, but with the intricate skills of the Lumago Ladies, and the teamwork they've cultivated through years of collaboration, we were able to finish all the lamps in only 4 hours! This training not only benefits the Lumago ladies, but has a potential far-reaching impact in their community. By training fellow community members and even extending to other communities, they can improve access to lighting for their homes and reduce their energy consumption and expenditures, making it an even more sustainable endeavor. They can further develop their new skills as entrepreneurial ventures to design and produce functional and decorative lamps, spreading the light even further! Solar Energy is a clean and safe energy source for people and the environment. A day of sunlight can produce enough solar energy in one day to fuel the whole planet without all the detrimental aspects and risks to health and home of fossil fuel consumption. The fact that it is a perpetual, renewable, and free energy source only makes its potential exponential to meet many of the challenges the world faces now and in the future. The cost-savings also makes it particularly beneficial for the poorest communities in the developing and developed world. We look forward to seeing and sharing that impact for the future of our community and many more! 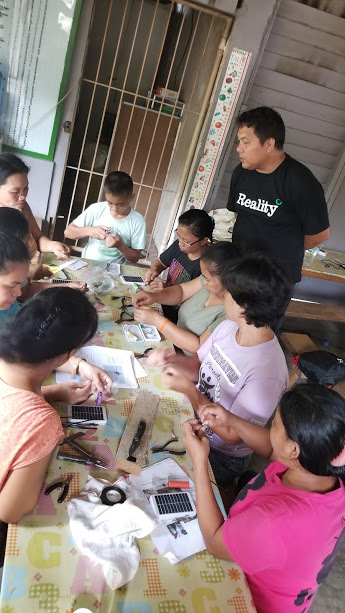 If you'd like to learn more about this training and its potential for your community, please contact Let's Do It Philippines, or donate to Lumago so we can fund more solar lamp workshops across our city.